We are committed to the well-being of others and engage with organisations that provide services and support to our community. Through our consulting services, we collaborate with NFPs and NGOs to establish reliable and cost-effective solutions that enable clients to achieve better social outcomes. Through our participation in World Vision, we demonstrate our direct interest in the support of children from developing countries. World Vision is a worldwide community development organisation that provides short-term and long-term assistance to 100 million people worldwide (including 2.4 million children). In 2016, we supported “Mahatma in me,” brought to Perth by Borderless Gandhi. The mission of Borderless Gandhi is to promote peace, equality and nonviolence through artistic reflections on the life, work and legacy of Mahatma Gandhi. 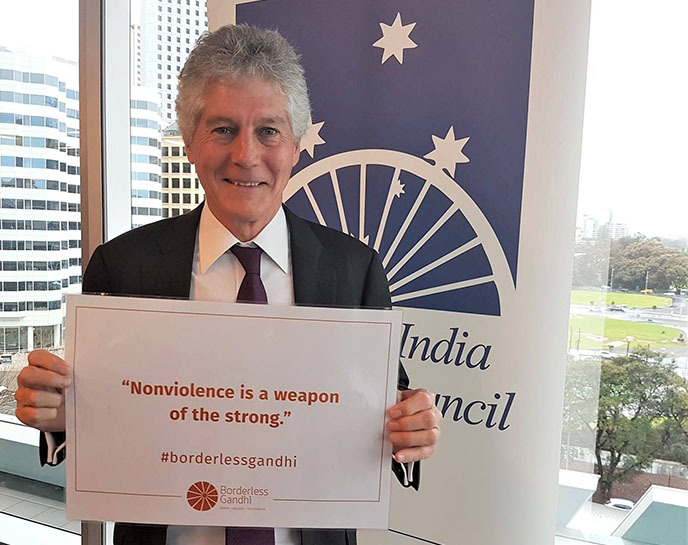 The organisation is returning with the exhibition “Borderless Gandhi presents Mahatma in Colour” this year, which will take place at both Parliament House of Western Australia and at Perth Airport International Terminal 1. 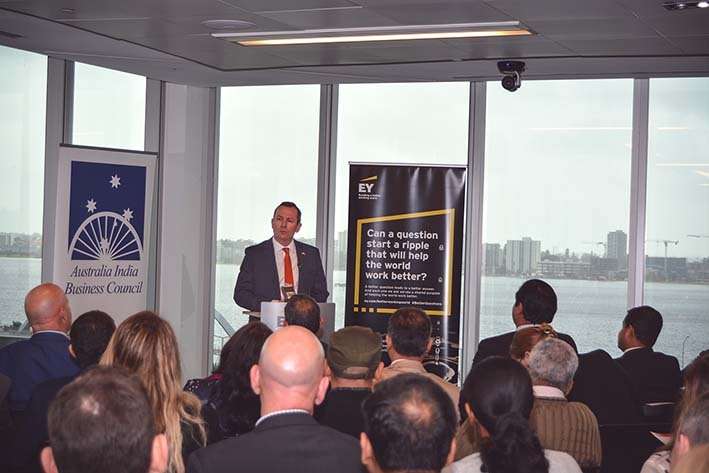 The exhibition was announced at the Australia India Annual Address by Australia India Business Council (AIBC) – WA. The host partner for the event was none other than EY, and the keynote speaker was Hon. 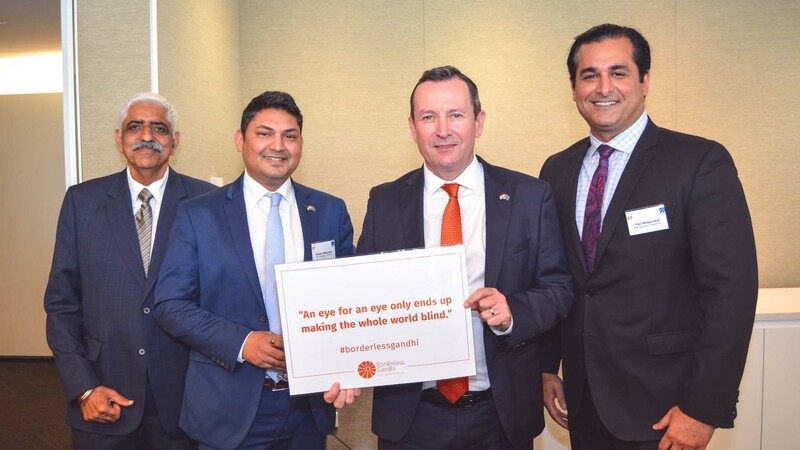 Mark McGowan MLA – Premier of Western Australia. 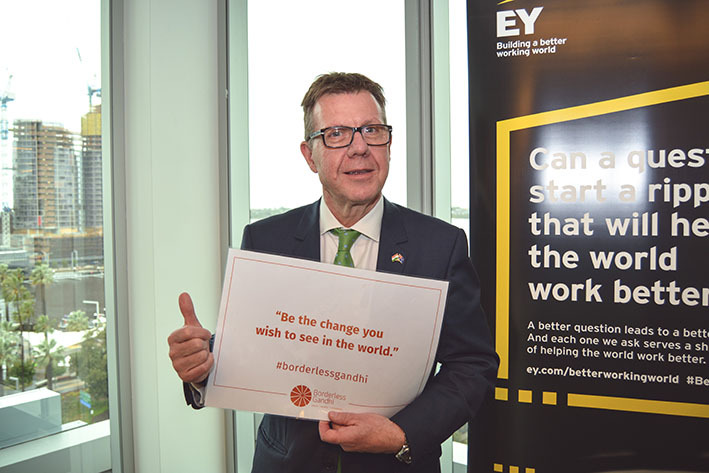 As AIBC is also supporting the project and the upcoming exhibition opening on 2nd October, Borderless Gandhi team members were present and equipped with popular quotes by Gandhi. 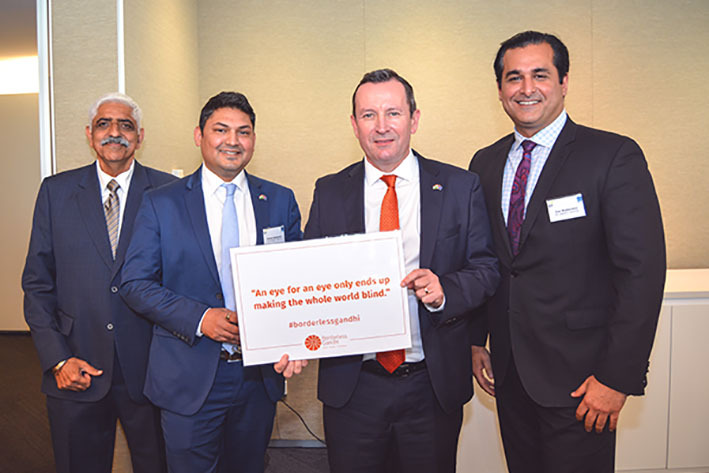 From left to right: Harsh Grover (Director, Grover Projects Pty Ltd.), Nilesh Makwana (CEO, Illuminance Solutions), Hon Mark McGowan MLA – Premier of WA, Yaz Mubarakai MLA (WA Legislative Assembly). From left to right: Tony Brooks (CEO, Altegra), Cr. 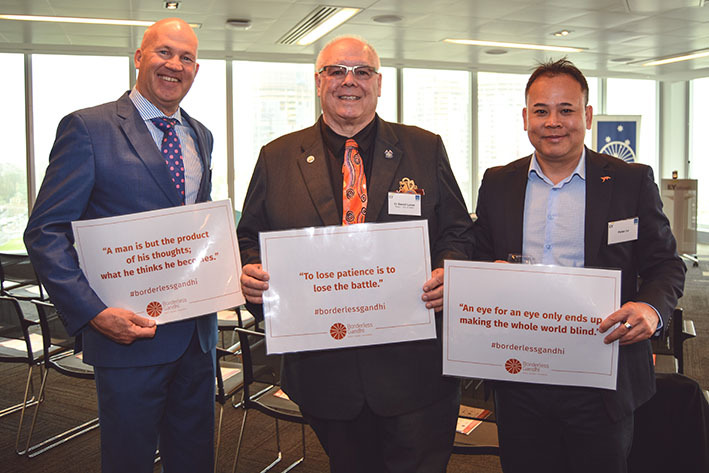 David Lucas (Mayor, City of Swan) and Peter Le.